Today I am reviewing a brand new micellar water to the market. 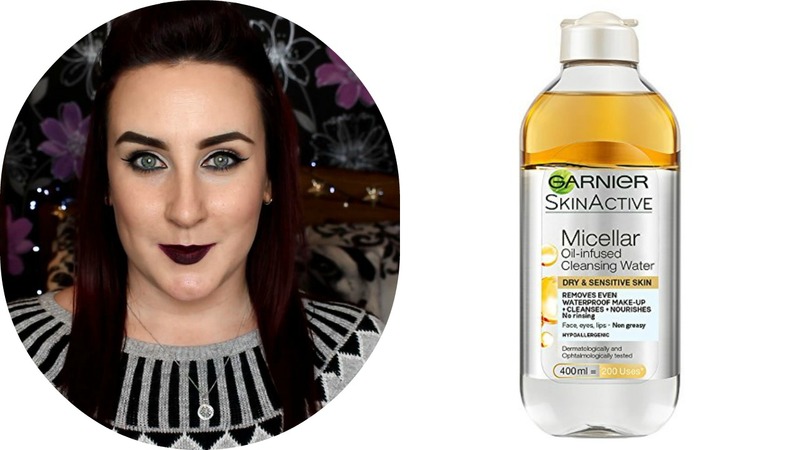 Introducing Garnier's Micellar Oil Infused Cleansing Water. Yes, you read that right! A micellar water with oil in it; argan oil to be specific. This is aimed at people with dry and sensitive skin. I would, however, warn those of you with sensitive skin or prone to problems with perfumed products, that this is fragranced. It does smell really lovely but I was surprised to note how fragranced it was considering it's for people with sensitive skin. It did not give me any problems though. The micellar water does do a decent job at removing makeup. In the video below I take off a full face of make up and you can see the job it does. Not fantastic at removing the lip or eye products but not the worst I have used either. I do find, because oil naturally floats on top of water, to benefit from the argan oil in the product, you need to shake and pour the product onto your cotton pad as quickly as possible before it separates. Overall it's quite a nice product but because I don't notice any added benefit of the oil, I will be sticking to the cheaper, original version. 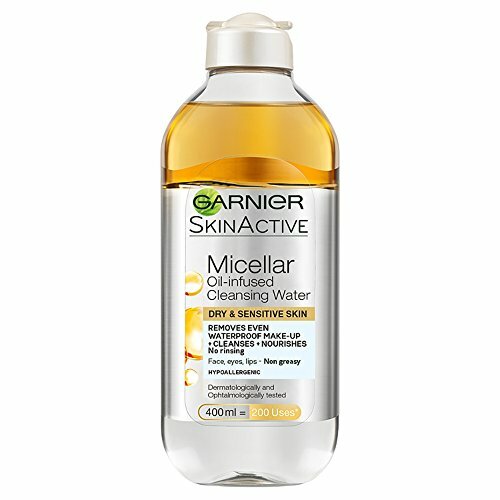 The Garnier Skin Active Micellar Oil Infused Cleansing Water is priced at €8.29 or £5,99 in the UK.